We are limiting the meaning of the text of the first two chapters of Genesis when we would only consider earth to be our globe. From the whole Biblical contexts we may assume that we must see the difference between eretz (earth or land) and haaretz (earth or ground) and aphar ha’aretz (dust of the earth or the sand or grains of earth) having also the globe and other planets around in the universe with their suns and stars. When Jehovah created the universe, he created so many stars and planets that we could never count them all. That is a 3 followed by 23 zeros! But we should know it could be many more and we should see that somehow they are all organized. Yes, groups of stars are organized into galaxies. 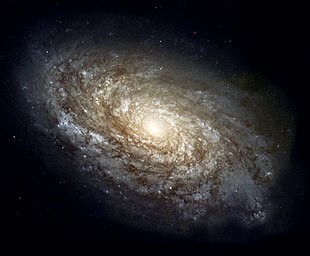 Each galaxy contains many planets and billions or even trillions of stars. Most galaxies are then organized into groups called clusters, and these clusters are organized into larger groups called superclusters. The first chapter of Moshe’s book does not want to bring a scientific report on how everything is placed and structured but only wants to give a short review in a way which is easy to tell to others so that they can easily remember. For that reason the story-telling is the easiest form for oral tradition, for which it was provided. As such we should not take the story to be taken literally but figuratively. Also not considering the 6 days as literally six 24 hours but more as periods of development or if you wish ‘evolution’ . A Caucasoid female skull (National Museum of Health and Medicine). Those who want to adhere to creationist views show they are missing many points of later books which form together the library of Book of books we call the Bible. Scripture and Science – must they agree? Is creationism on the wane in America? Creative Challenge #36: Will Creationism Ever Die? Was atheism or Christianity responsible for the Scientific Revolution? Atheists More Intelligent Than Creationists? Bridging the Gap Between Creationism and Evolution. The Hammer and the Anvil: Did One Blacksmith Design Both? One pro Gap position suggests Gen 1:1 is a summary statement of the whole chapter. While we read heavens and earth as meaning the universe and the planet, possibly the verse should be understood as meaning the sky and the land since the terms heaven and earth are used later in chapter 1. We can test this suggestion by reviewing the chapter and context. When we look at the Hebrew there is nothing particularly to affirm or deny the suggestion. The word ‘heaven’ has a wide range of uses from the universe through to the sky and air. Similarly, the word for ‘earth’ is extremely broad. So we must go to the context of Gen1 and see how the expressions are used.